DIY jewelry is becoming a bigger part of the craft world every year, and AllFreeJewelryMaking saw an incredible response from our readers over many amazing projects. From beginner jewelry tutorials to intricate stitched designs, there are all kinds of free jewelry patterns out there. 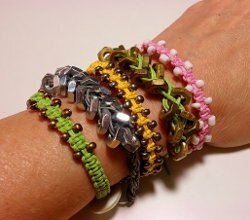 To make it easier for you to stay on trend and see your fellow readers' favorites, we have compiled a list of the Top 100 DIY Jewelry Projects of 2013: Beaded Bracelet Patterns, Wire Jewelry Tutorials, and More. Ranked as the top DIY jewelry patterns by our readers and site visitors in 2013, these perfect projects are the ones you'll want to craft every year going forward. We collected our most popular jewelry tutorials in this one handy list for your crafting convenience. Find the best free recycled jewelry projects, wire jewelry tutorials, DIY earrings, bead weaving patterns, and much more in this amazing DIY jewelry roundup! A gorgeous DIY bead necklace is the best way to add some pop to any ensemble. 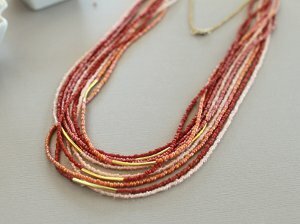 Learn how to make necklaces of all techniques, styles, and designs with these fabulous jewelry patterns. Get wrapped up in these fabulous wire tutorials. Wire is an essential material in so many DIY jewelry projects. 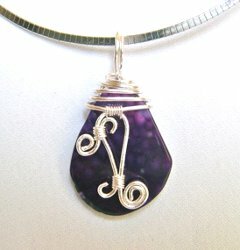 From wire wrapping to other essential wire techinques, these tutorials will allow you to create a variety of designs. Loving the knotted layered look? 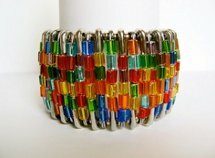 These easy bracelet patterns are for you. Beads are amazing, but if you need to bring a little variety into your jewelry collection, try adding in some yarn and making these DIY bracelet patterns. There is no easier way to add to your jewelry collection than with a pair of DIY earrings. 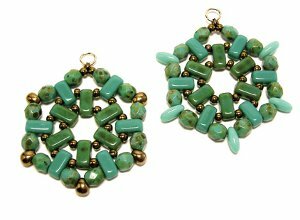 These favored homemade earring sets are the perfect way to add a little flair to your outfit. Your next DIY jewelry project could be sitting in your recycling bin right now! Jewelry doesn't have to cost a fortune with these fabulous "green" projects. Use these tutorials to make beautiful accessories out of items you already have in your own home. Everyone loves a good bracelet, and beads never fail to delight our readers. 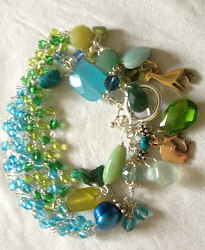 Most of these bracelet patterns are for simple strung projects, but they are fabulous nonetheless. 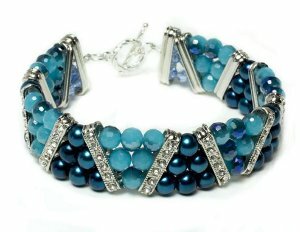 From dazzling crystal strands to trendy wrap bracelets, you are sure to find a bracelet pattern for you amongst these reader favorites. 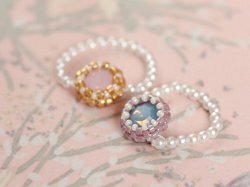 A DIY ring is an easy, but adorable, way to incorporate new jewelry into your wardrobe. These unique pieces each have their own flair, so you are sure to find a delightful ring to fit with your style. 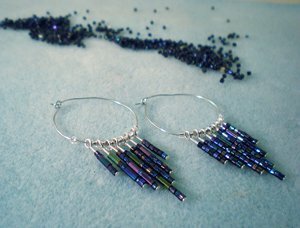 Bead weaving and bead stitching projects are always very popular on the site, so these tutorial are the best of the best for this year! You will be ready to stitch up a storm with these patterns ranging from a Russian spiral to peyote stitch. Find the right pattern for you amongst these super popular projects.